Polo Association ground in Pilar, Buenos Aires. 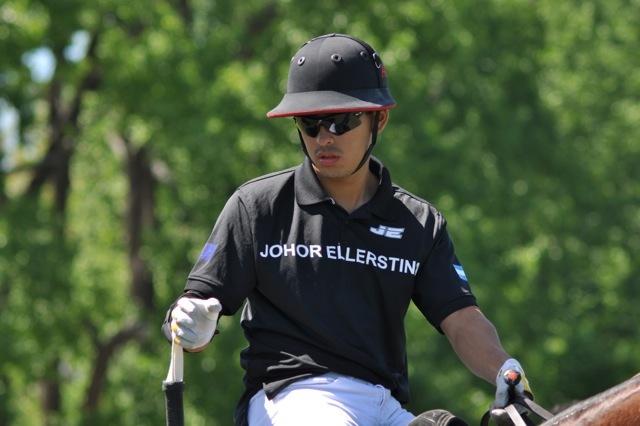 THE Tunku Mahkota of Johor Tunku Ismail and his younger brother Tunku Abdul Rahman played crucial roles in leading the Johor Ellerstina Polo Team to two prestigious polo tournament finals in Buenos Aires, Argentina. Tunku Abdul Rahman (right), helped Johor Ellerstina outperformed Chapel of The Lord 11-8, and will now meet La Canada, who defeated La Candelaria, 14-4 in the final. Tunku Abdul Rahman (one goal), who is competing in the AAP Abierto Juvenil (Under-21) tournament, played a sterling role together with Nico Pieres (nine goals), Junior Cavanagh (five goals) and Alfredo Capella (five goals) for a total team handicap of 20 goals. The team have now progressed to the final which is due to be held at the famous Palemo Polo Club in the heart of Buenes Aires for the coveted 30th edition of the Argentina Open Youth Finals. Eight teams competed in the knock-out competition. Tunku Abdul Rahman's team won two games to reach the final. Tunku Mahkota Johor Tunku Ismail scored twice while competing in the AAP Metropolitano Alto Handicap 24-Goal Tournament. 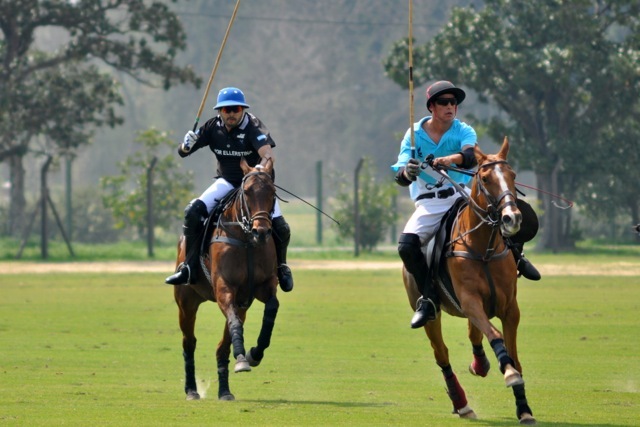 Tunku Ismail is playing alongside two 10-goal brothers, Gonzalito Pieres and Facundo Pieres, and is supported by teammates Franco Veronesi playing off a three-goal handicap. The team’s team handicap is 24 goals. His team too won their group matches and have progressed to the final. Tunku Mahkota's tournament consists of 10 teams competing and his team, Johor Ellerstina received a bye in the first round and then required two wins to reach the final. All matches are at Argentine Polo Association grounds in Pilar, Buenos Aires. Sultan of Johor Sultan Ibrahim is also in Buenos Aires to provide support and encouragement to his sons during their tournament. Before leaving for Argentina, Sultan Ibrahim told sports247.my that he was impressed and proud of both his princes for being seleted for the tournament that attracted world class players. “The tournament is well known in the polo world and for both my sons to be playing in the tournament is a great achievement and I hope their team will do well and win the tournament,” he said. OUT OF MY WAY: Tunku Ismail is blocked by an opponent.